Tomorrow, the National Museum of African American History and Culture opens its doors to the public. Located on the National Mall, the museum is less than a mile away from NASA’s Washington Headquarters. Recently I spoke to NASA TV about the significance of this occasion, and you can watch a few clips from our conversation below. On a personal note, I think it’s critically important – and it’s really impressive — that at long last we’re going to have a museum on the Mall that’s dedicated to people of African decent here in the United States. I never in my wildest dreams growing up in Columbia, South Carolina during segregation would have believed that I would be experiencing the opening of a museum dedicated to African American history and culture – let alone during the Administration of America’s first Black president, whom I have the privilege of serving under as NASA’s first African American Administrator. Because I believe so strongly in its mission, I donated a few personal items to the museum, including my flight suit and mission patch from STS-60, my final space flight and a critical mission to what would become the International Space Station program; a model of the Hubble Space Telescope – what I believe to be the most incredible scientific instrument that humanity has created; rugby shirts from STS-45 and STS-31, among other items. It’s my hope that young people who visit the museum will be encouraged to reach for new heights in their own lives, and use their dreams as inspiration to work hard, study hard, and refuse to be deterred by failure. The reason that I applied for the Astronaut program many years ago, was that the late, great Dr. Ron McNair – himself a hallmark figure in both African American history and the history of America’s space program — encouraged me to go for it. It is my hope that the objects and displays in this museum will have the same sort of impact on a new generation of future astronauts, artists, engineers, educators, physicists, philosophers, physicians and so forth. Being the first African American Administrator is all well and good, but I want to make sure I’m not the last. Encouraging more young people from underserved communities to study the STEM subjects of science, technology, engineering and math is one important way to make sure of this. Reminding the next generation that even the sky is not the limit is another. Best wishes to everyone involved in opening this important new museum. I cannot wait to visit! 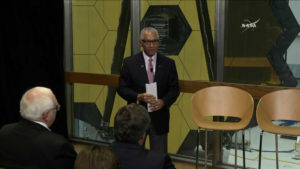 NASA Administrator Charles Bolden discusses the flight jacket from mission STS-60 that he donated to the new National Museum of African American History and Culture. NASA Administrator Charles Bolden talks about the advice he gives to young people,on the occasion of the opening of the National Museum of African American History and Culture. 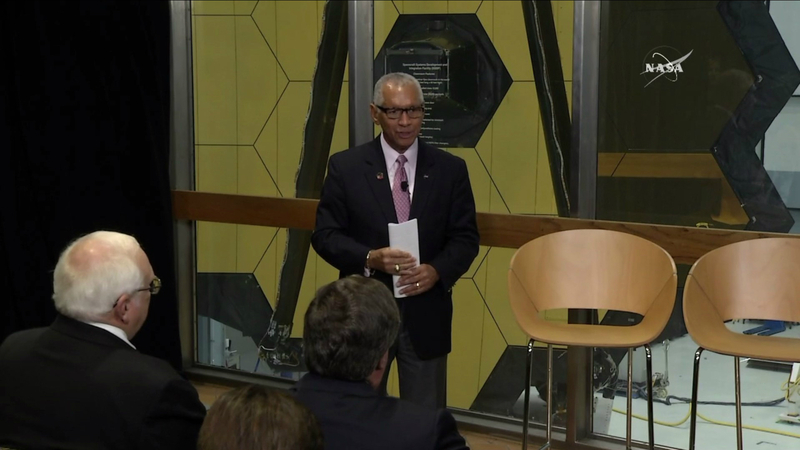 NASA Administrator Charles Bolden discusses the historic significance of the new National Museum of African American History and Culture.